I babywear. But I’m not a crunchy babywearer and I won’t judge you for using a stroller sometimes. Or every day. I use one too. Before my second baby was born, I decided to go on a quest to convince my husband that we need a new stroller (which, by the way, we really really did). 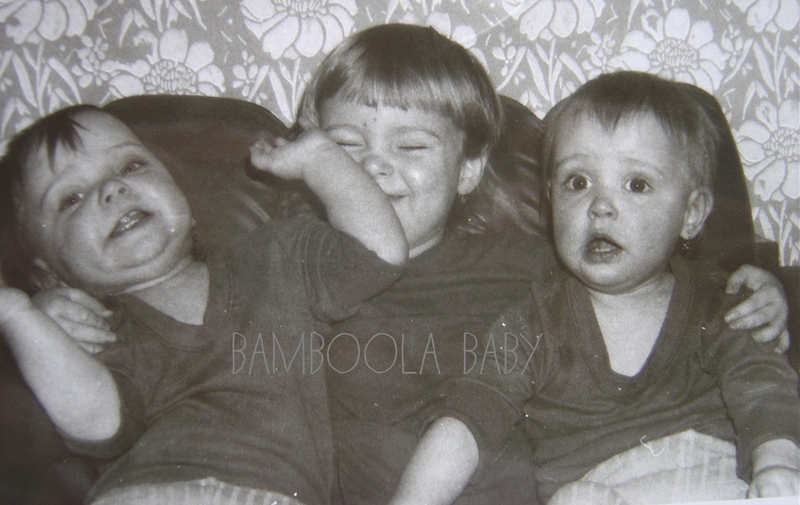 You know men – they don’t see any difference between a Bugaboo and a Maclaren and certainly don’t understand why the stroller we currently have has to be replaced. Meanwhile, the explanation is so simple and so obvious. The one we currently have is a lightweight umbrella stroller that’s at the end of its rope and it certainly cannot handle two kids. So yes, we need a new stroller. Period. Then the frantic search began. Then the comparison of the top contenders. And then going back and forth between a double and a single stroller. Do we need a double? 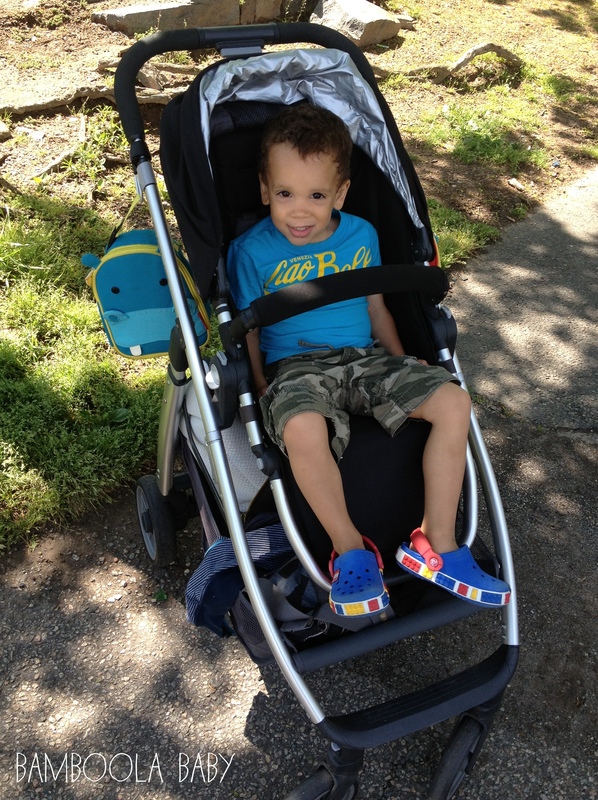 Kamar still relies on the stroller and his little legs get tired easily. But where am I going to store a double stroller? And will it fit into our car? 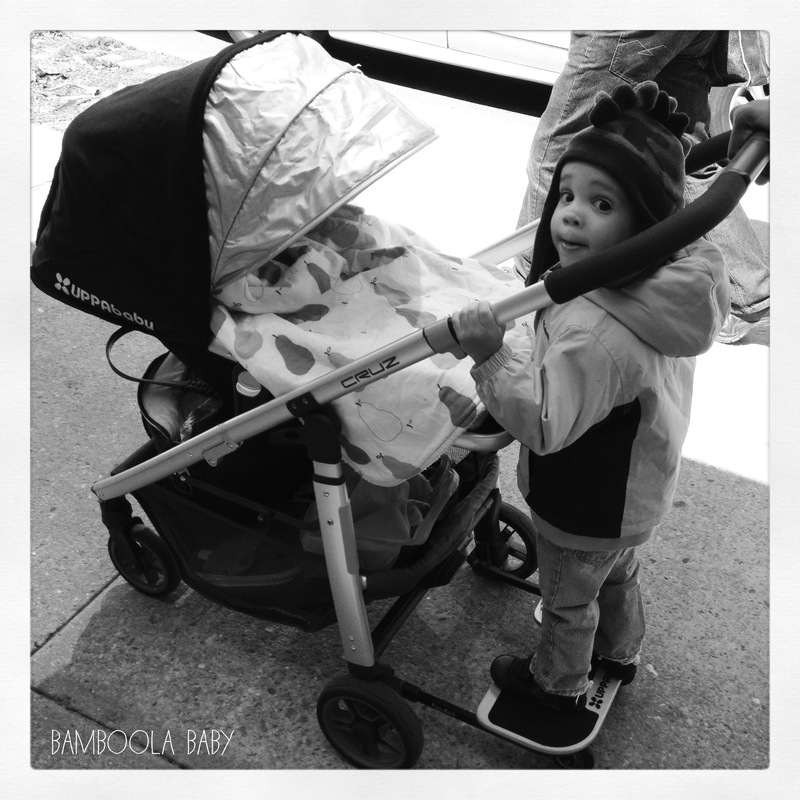 … Eventually, we decided for a single stroller with a toddler board. The plan is to use it with both kids – either with baby Sebastián while his older brother is on the toddler board, or with Kamar while I wear the baby. I had many criteria for the new stroller, such as a reversible seat, large cargo basket, expandable canopy, easy and compact fold etc. But most importantly, the stroller had to be below $500. 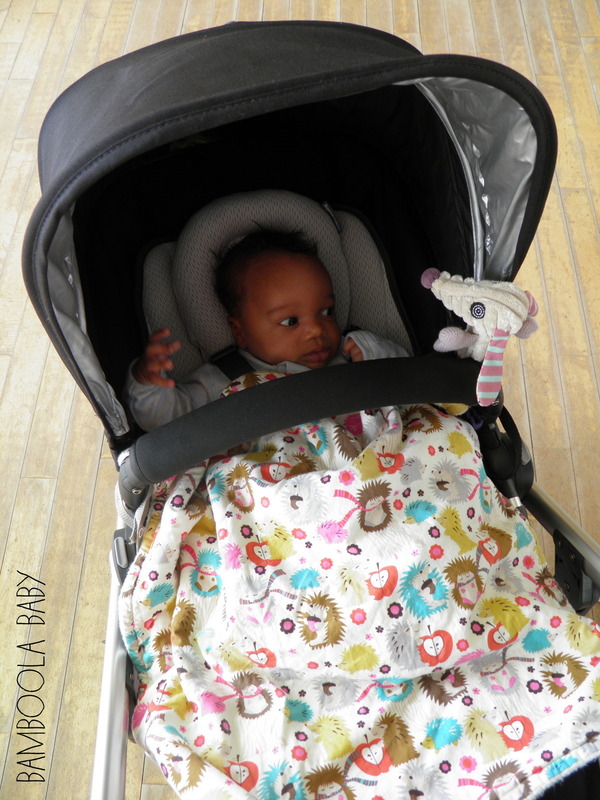 The only stroller that had all of my must-haves and fit the bill was the UPPAbaby Cruz. For a minute I was thinking about the UPPAbaby Vista because of the bigger wheels. But … it comes with a bassinet which is not an advantage for me. I already have a great bassinet for in-home use and definitely didn’t want one for the trips outside – we have no storage room in the building and I already carry enough crap to the 4th floor. No, thank you. Additionally, Vista is considerably heavier, bulkier and pricier than the Cruz. I am glad I decided for the Cruz – it’s awesome! And thanks to my amazing twin sisters the stroller didn’t cost me a dime. THANK YOU!! Let me tell you, I LOVE love LOVE our new stroller. I love how it can be used comfortably with babies as well as with big toddlers. So far Kamar uses it way more than Sebastián (I wear Sebastián a lot and Kamar is quite a stroller junkie, he just loves the ride). But the baby was in the stroller a few times too. Because of the baby, I also got the Infant SnugSeat and it’s fantastic – it makes the seat much more comfy and secure for babies. I also got the bumper bar – Kamar loves the bumper bar (don’t ask me why) and it’s a great place to attach Sebastián’s toys. As I mentioned above, it’s suitable for both babies and toddlers (up to 50 pounds). If you’re planning on using the stroller with an infant you can just purchase the Infant SnugSeat accessory or you can purchase a bassinet and use that instead of the toddler seat. It accommodates many infant car seats. UPPAbaby Mesa infant car seat can be attached directly to the frame without the need for adapters. Alternatively, you can purchase adapters for Maxi-Cosi, Graco, Chicco and Peg Perego infant car seats. The seat is reversible so it can face you (wonderful with babies) or face out (great for toddlers). It takes 3 seconds to flip the seat, so easy. It has a one-handed multi-position recline. The seat goes from very upright to flat which makes naps easy (note: the seat will never be truly flat, there’s always going to be an angle between their legs and their torso). Naps – that’s what it’s all about. The foot rest is adjustable – I love this feature. I put it up for the baby and down for the big boy. It has a telescoping handlebar with three positions – the control button is in the middle of the bar making it super easy to adjust its height. The canopy is height-adjustable to accommodate growing children. The canopy features an extendable SPF 50 sun shade which gives plenty coverage (I happen to love this little detail more than I thought I would, it’s so useful). There’s also a peek-a-boo window at the back of the canopy. It comes with a Rain Shield and a Bug Shield. The fit is great. Accessories: besides the above-mentioned bassinet, SnugSeat and bumper bar, you can also purchase a snack tray and a PiggyBack toddler board. The board is so much fun! The frame is compact, narrow (22″) and fairly light (22 pounds with seat attached – that’s not bad for a full-size stroller). The wheels are decent size (7.5″ and 6.5″) with shock-absorbing front and rear suspension. I use the stroller mostly on sidewalks but I did use it on rougher terrain and grassy areas in the park and it did fine. They are not inflatable which is exactly what I wanted (so now I don’t have to deal with flat tires). The stroller folds easily in one simple step (with or without seat, bumper bar and toddler board attached), the fold is slim (just 11″ with seat attached) and the stroller stands on its own when folded (another lovable feature). Maneuverability is fantastic. Even with the toddler board attached and a 30-pound kid on it. 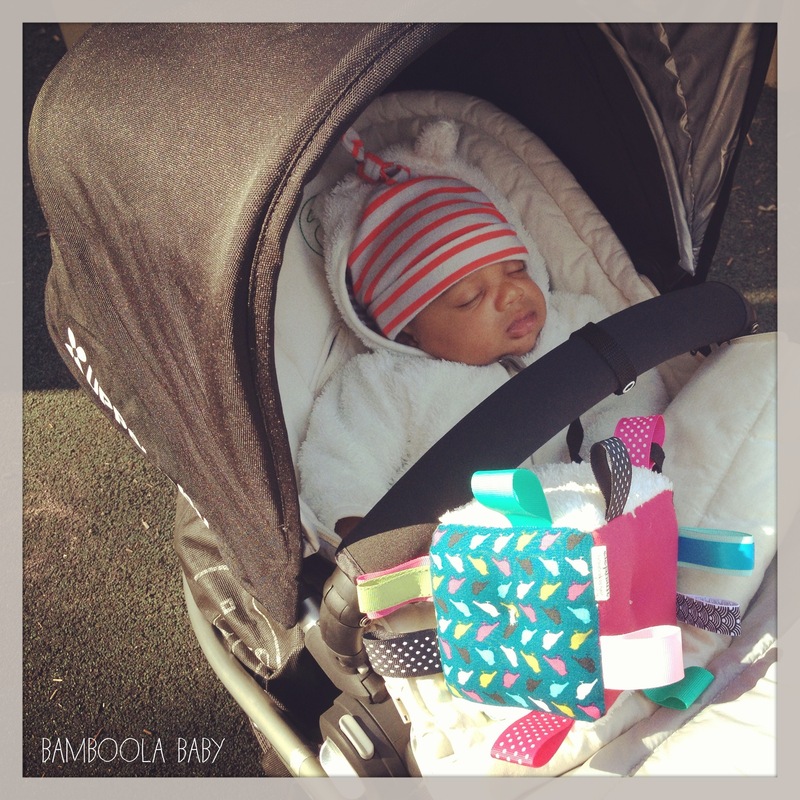 Now that you’ve had over a year using the UPPAbaby Cruz… Would you still recommend it? I’m really getting convinced this is the stroller I want. Great review of it. We also have a skinny six-year-old (about 45 pounds) who often gets tired. Do you feel the toddler board would hold up his weight? Yes we are still very happy with the stroller and it survived 4 plane trips to Europe with no issues. I am happy to report my almost 6-yr old niece (she’s not super light) would sometimes hop on the board – I think the board is pretty sturdy and it can easily carry bigger kids – just remember for the kid to fit you have to tilt the seat away from the standing kid and extend the handle all the way up, so that the standing kid can fit between the seat and the handle. 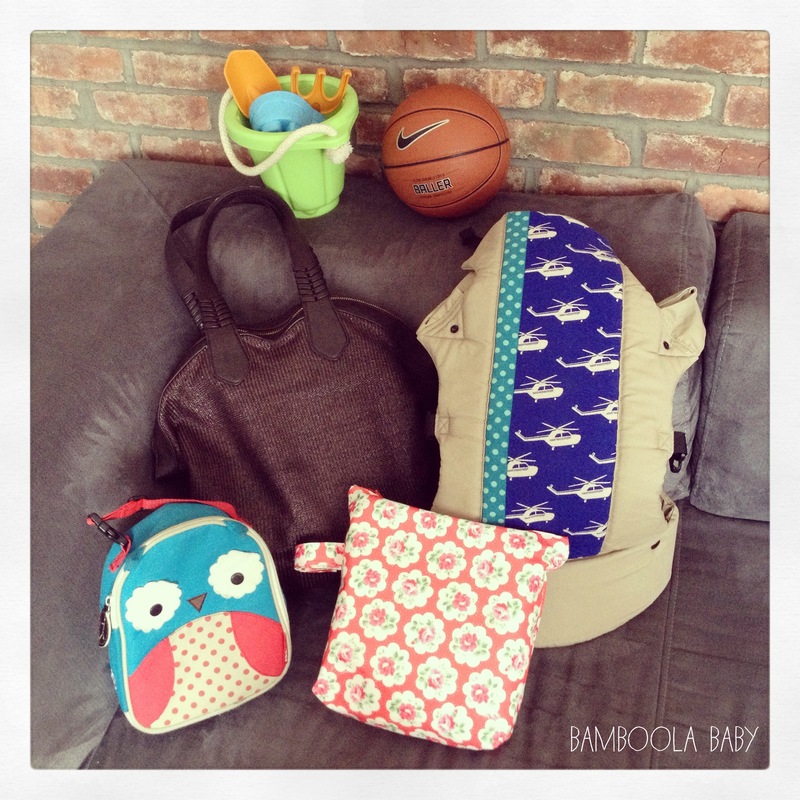 « 6 weeks postpartum: alone with two kids – time to panic!